A 29-year-old woman was stabbed on Luquer Street between Clinton Street and Hamilton Avenue, Sept. 15. CARROLL GARDENS — A 29-year-old woman was stabbed after she didn’t give her attacker a cigarette, cops say. 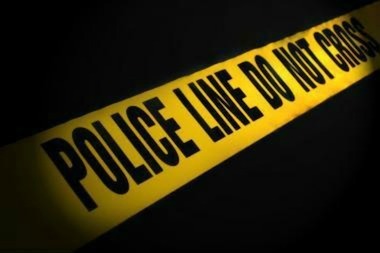 The victim was smoking on a Luquer Street sidewalk between Clinton Street and Hamilton Avenue, when a man approached her and asked for a cigarette around 9:50 p.m. on Sept. 15, according to police. When she refused, the man stabbed her with a sharp object, possibly an ice pick, cops said. The victim was rushed to Lutheran Medical Center, according to the FDNY. Police did not have specifics on the woman's injuries or condition. No one had been arrested as of Tuesday, police said. ► About $288 worth of clothes was nabbed from Urban Outfitters’s Atlantic Avenue shop about 11:15 a.m. on Sept. 1. The thief took five T-shirts worth $140, a Herschel bag worth $68 and two $80 fitted caps. ► A $600 Vanmoof bicycle was stolen from a Union Street residence on Sept. 11 about 8 a.m.
► A man was attacked by a group of about 10 to 12 men at Clinton Street and Hamilton Avenue. The attackers punched and kicked the victim, leaving him with bruising between his shoulder blades, Sept. 13 about 8 p.m.